Set sail across the waters of Croatia, explore the wonders of Italy or enjoy a weekend out at the Hamptons this summer with your own private luxury yacht. Within 24-hours you could be gaining expandable first hand experience of what it’s like to own your own yacht, but at a much cheaper price. YachtLife is the worlds first private yacht charter app, delivering unmatched luxury and seamless service. Based in Miami, YachtLife is introducing what was once an exclusive domain for the affluent, to the multitude, by allowing users to effortlessly charter a private luxury yacht, complete with a full crew, amenities and necessities. Devoted to offering only the finest luxury yachts for charter, the YachtLife team dedicates their time to selecting and creating a portfolio of extravagant yachts with experienced crews to provide unparalleled experiences for clients as they embark on their journey on the waters. Users can download the app or visit the YachtLife website and browse through hundreds of impressive yachts and with clear pricing and a secure cashless checkout, chartering a private yacht is as easy as booking a hotel. The platform offers clients an easy to navigate site, with clear and concise information on all the hand picked yachts ranging from 30 feet to 165 feet in size. 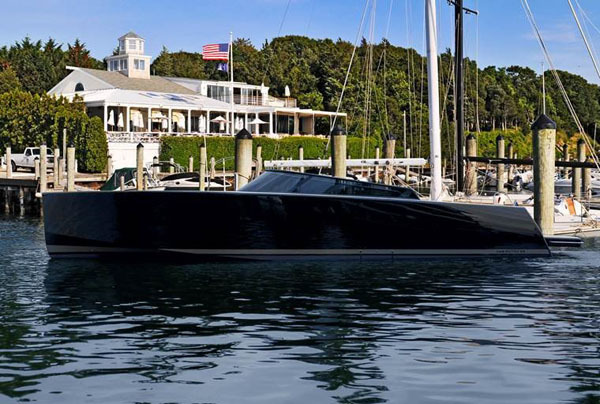 Co-founder Patrick Curley assures the yachts selected are inspected to secure certain requirements and meets the up to date standards of the Yachts size and capacity. YachtLife currently lists around 250 yachts on its platform, from a 40-foot VanDutch to a 154-foot Feadship with a crew of 12. To further personalize your adventure guests can pre-order catering packages, which are ready to go before you take your first step on your private luxurious vessel. This takes the hassle out of bringing bulky coolers onto the yacht, with sub-par sandwiches, which would be flawed by the time you get to the mariner. Instead, you could be relishing in a plate of fresh seasonal fruits, gourmet cheeses, accompanied with crackers and a bottle of chardonnay, and gourmet lunches and exquisite dinners under the moonlight. Today, YachtLife operates in South Florida, the Bahamas, the Hamptons, Chicago, New England, Spain, the South of France, Italy, Greece and Turkey. Be the envy of the sea with your own private yacht while savouring the salty atmosphere and soaking up the warm rays.